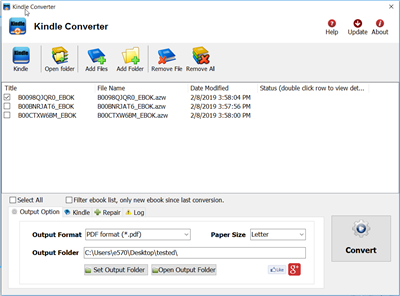 You read Kindle ebook in amazon app Kindle for Pc, it hasn’t text to speach function, but you have another way to convert Kindle DRM ebook to PDF/Text format, that other app read ebook to you, this is step to step guide to convert Kindle DRM ebook to PDF ePub Html word Text format. 4). 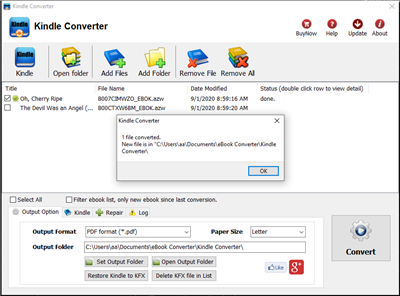 Select output format in Output Section button, you can select pdf,epub,rtf, text format in drop list, change output folder if you want. 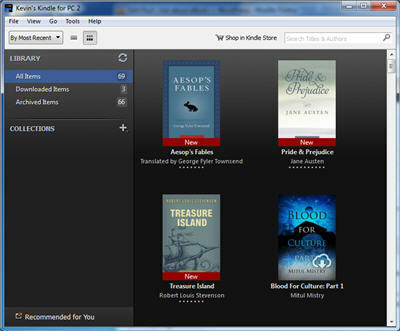 6) Sit back and relax while your PC reads new e-book file to you.